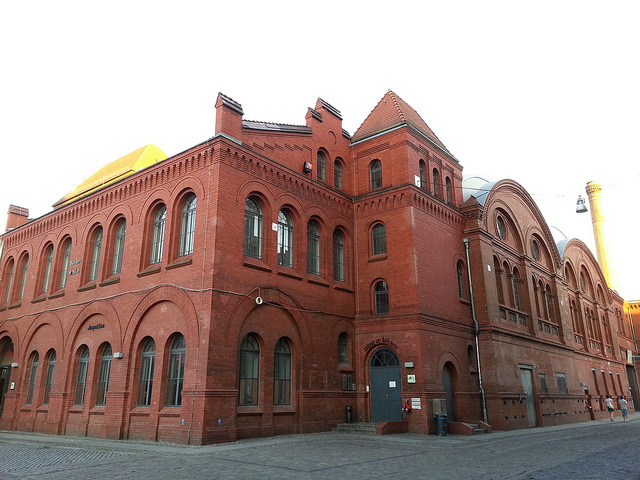 This year’s OKFestival is taking place in Berlin at the Kulturbrauerei, a large architectural complex originally built and operated as a brewery, with multiple brick buildings and courtyards. OKFestival will occupy one entire courtyard and the surrounding buildings to create a “city-within-the-city”, comprised of indoor and outdoor spaces. In our festival home, we’ll have the flexibility to arrange the areas to suit the programme – whether for discussions, workshops, brainstorming or demos. We’re looking forward to seeing the venue come alive! For OKFestival we wanted to pick a city that would be as accessible as possible to everyone who’d like to attend. Berlin offers reasonably priced accommodation, vibrant local open and tech communities and a welcoming, friendly atmosphere. Our venue – the Kulturbrauerei – is situated in the Prenzlauer Berg district, which hosts a multitude of cultural spaces to explore. Even in the GDR era students, artists and creative folks influenced the image of the neighbourhood. Then, after the fall of the Berlin wall, it became very hip and trendy. Prenzlauer Berg is known for its varied nightlife and the large number of bars, cafés, clubs, coffeehouses and restaurants. I cannot find any information on prices.